Equipped To Go provides a number of services to individuals or groups desiring to be culturally adept while traveling, living and working in foreign countries. The design of this site somewhat unique but remains super clean looking. 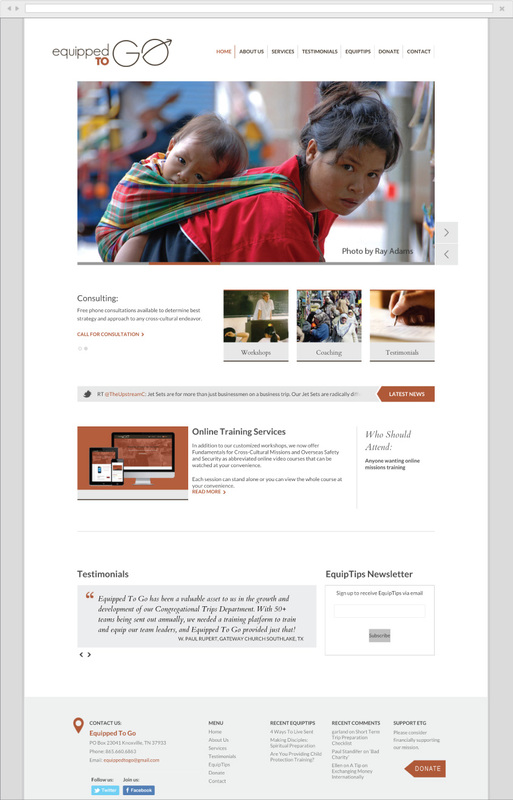 The images used for the front page rotating feature are striking semblance of the cultures the ETG team convey to their trainees.